What We Do | Slack & Co Contracting, Inc.
BUILDING A SUCCESSFUL PROJECT IS ABOUT MORE THAN DELIVERING WORK ON-TIME AND IN-BUDGET. As the first sub-contractor to work on a project, we think long-term. Our clients and the specialty contractors who follow us depend on the quality of our work, and the timeliness in which we complete it. During pre-construction, our estimators research each aspect of a project to ensure we get it right early in the process, reducing the risk of unexpected costs and delays down the road. Our project managers make sure every detail is covered because we know that managing the details effectively puts money in your pocket and time back in your schedule. We own, operate and maintain our own fleet of equipment. Our mechanics work to ensure our fleet of over 100 pieces of heavy equipment is properly maintained and work-ready. This allows us to deliver equipment to your job site in optimum operating condition and ensures maximum uptime. 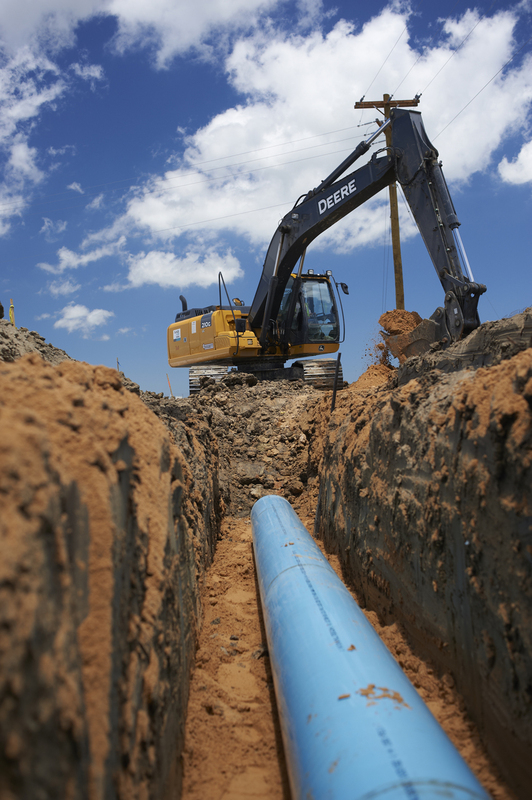 Underground utilities have to be done right, each and every time. 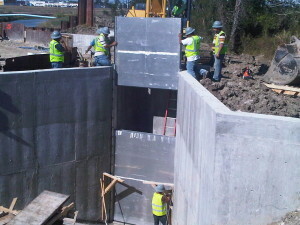 Slack can provide your project decades of experience in water lines, storm sewers, sanitary sewers, lift stations and underground water detention. Site work all begins with a plan. Site development services include clearing, grubbing, building pads, parking lots and paving. Slack safely provides the foundation for the rest of your successful project. Whenever possible debris materials are recycled, and all materials are hauled to approved, permitted, disposal facilities. We’ll move mountains to successfully execute your next project. 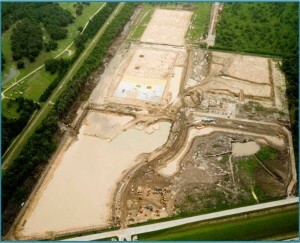 We also dig detention ponds and channels and build foundations and basements. Slack & Co. has vast experience performing earthwork services and working on large projects, in Houston, TX and South Texas. Our earthwork services include balancing cut and fill, grading, compacting and soil stabilization to meet the designed elevations and contours for your project. 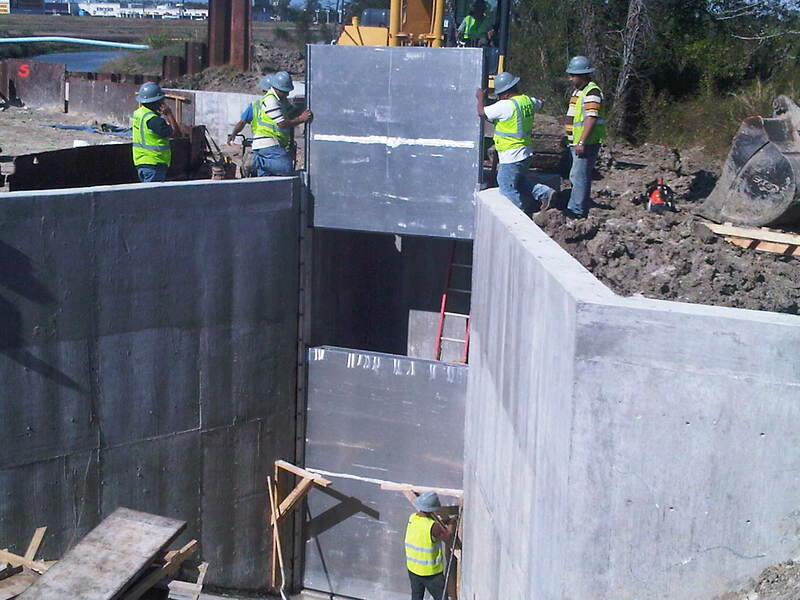 Our approach to civil construction services takes more than the finished product in mind. We employ the latest construction equipment specially designed to perform these tasks efficiently, safely and with minimal environmental impact. © 2018 All Rights Reserved. 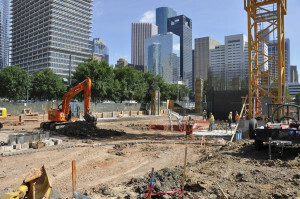 Slack & Co. | Civil Construction Services - Houston, TX.